Lots of accommodation in this like new 8 year old home on a 55 foot lot with potential for 7 bdrms. Main floor offers a fabulous open plan, ideal for families and entertaining. . Kitchen w large island, adjacent family room with doubleFrench doors leading to massive sun deck and beautifully landscaped flat back yard. Four bedrooms & 3 ensuite baths up. Two bdrms with Juliette balconies. Features Cherry hardwood floors, high ceilings, radiant in-floor heat and beautiful custom silk draperies throughout. Balance of 10 year warranty. 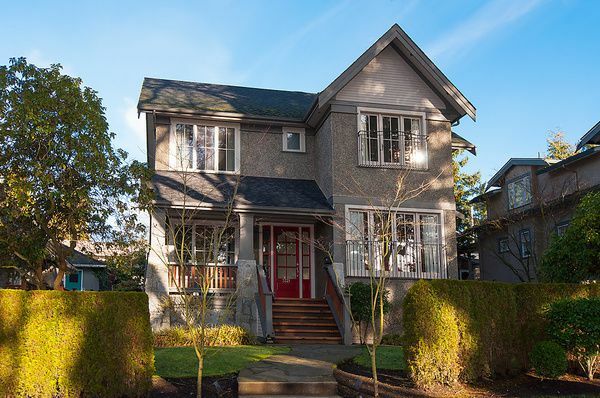 Excellent Dunbar neighborhood close to UBC, St. Georges, Crofton, best public schools and shopping!